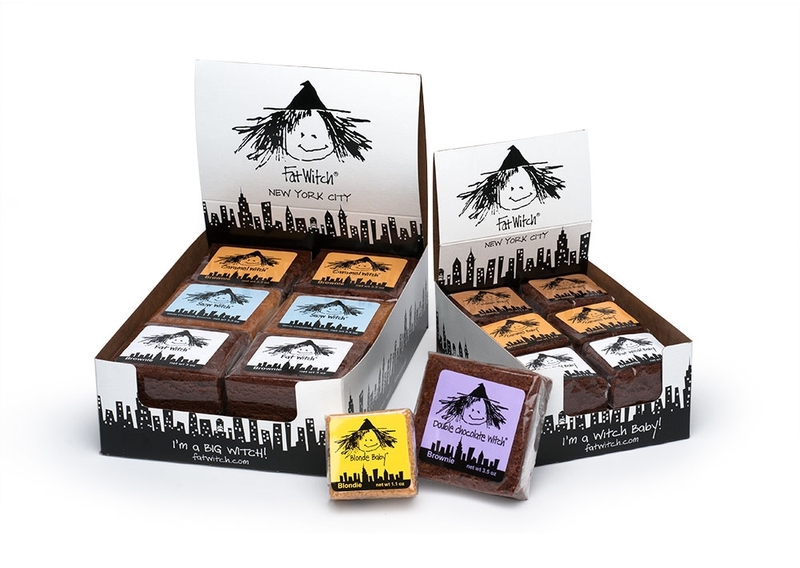 Fat Witch Bakery, located in the Chelsea market in Manhattan is famous for their deliciously decadent square brownies better known as “Witches”. 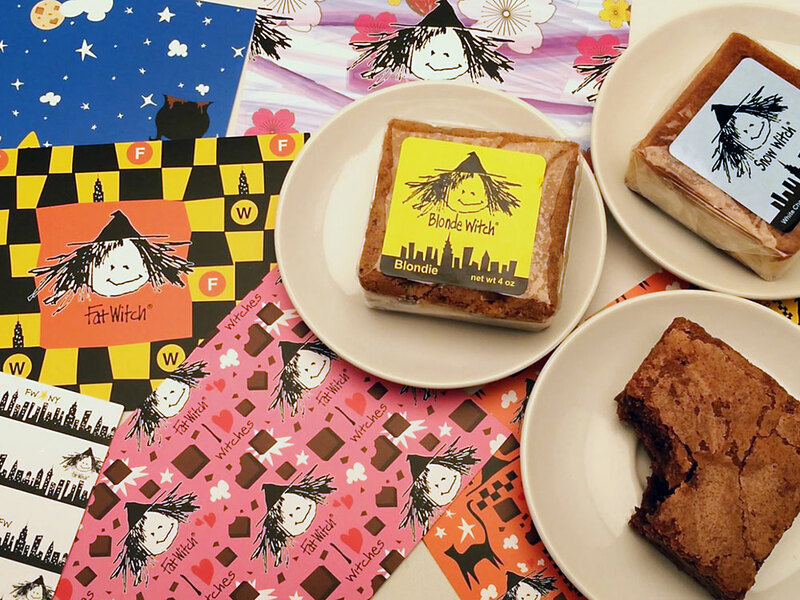 Alternatives created brand graphics, patterns, bewitching copy and spooktacular product inspirations to bring the fun and delicious personality of Fat Witch to life beyond the bakery. 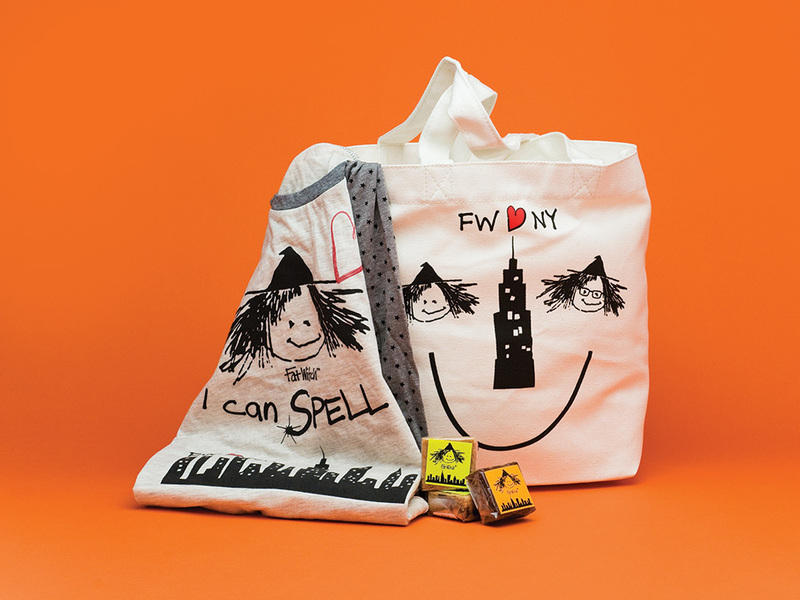 The Fat Witch point-of-sale animation brings the brand to life at retail and showcases it’s NYC roots. 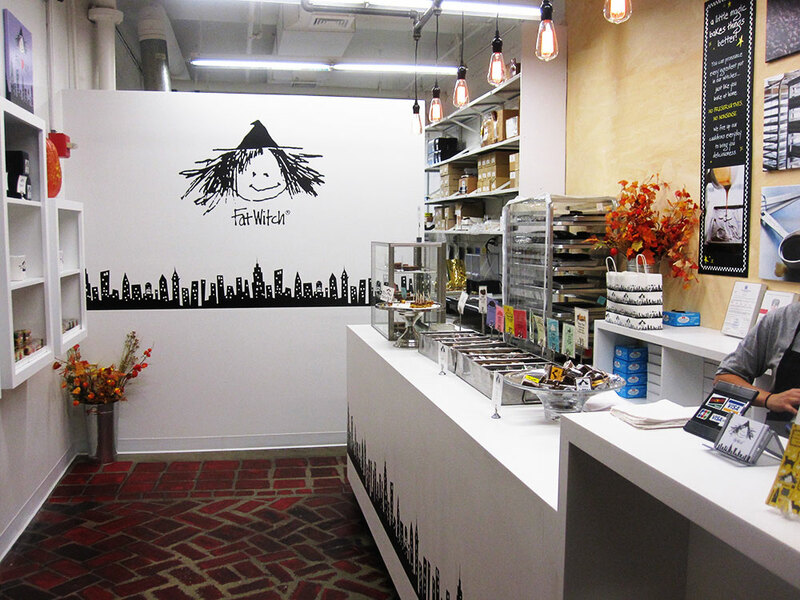 The Fat Witch bakery interior design brings the magical world of the Fat Witch to life using elements of black and white and twinkling lights. 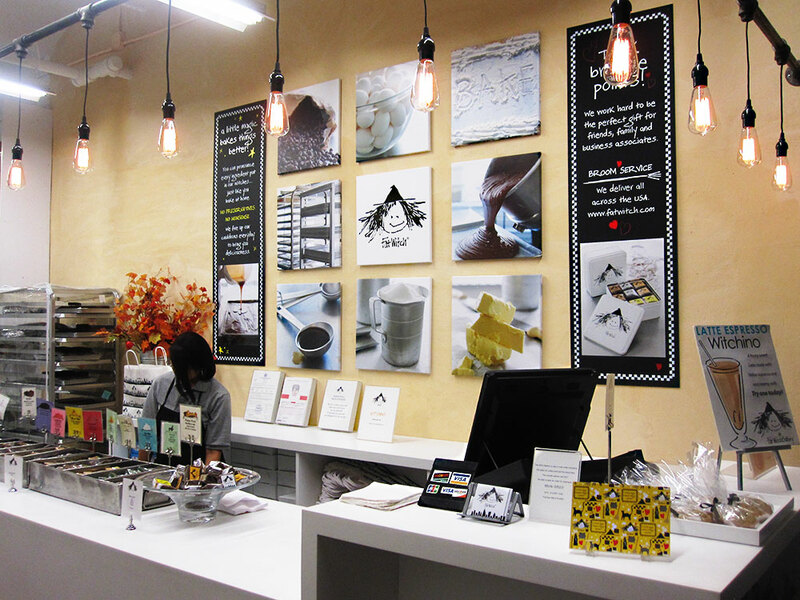 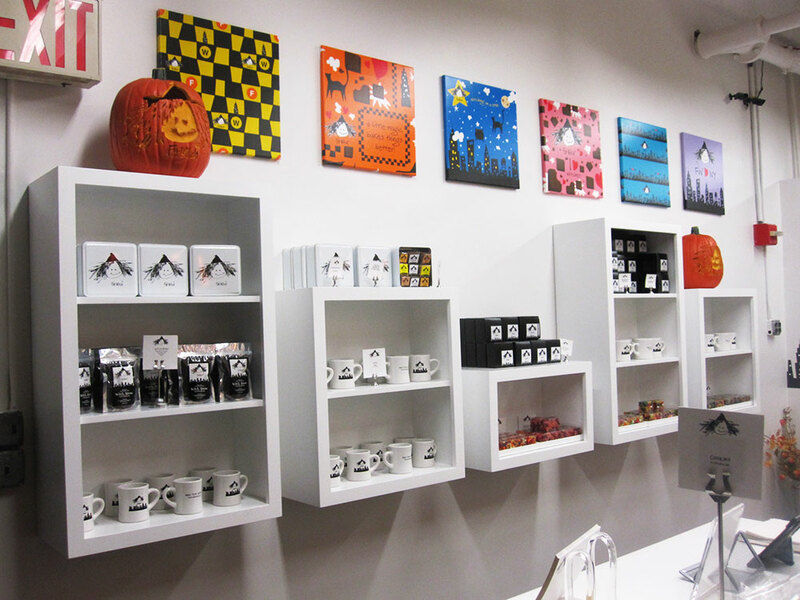 The walls are sprinkled with Giclee canvas prints of baking images & brand graphic patterns.